The Community Foundation of Southern Indiana is in a unique position to make a tremendous difference in our community. But, we couldn’t do this without the generosity and vision of you, our donors. We are here to honor your intentions and support the causes you care most about.  When you establish your unique fund at the Community Foundation of Southern Indiana you’re given the opportunity to lay out your charitable goals and begin making an impact immediately. Or, you can establish a “future” fund today that will impact your community forever with a gift from your estate. Our commitment to you is that we’ll be here, honoring your intentions, forever, and we’ll make it easy for you to fulfill your unique charitable goals. For more information on how you can create your own fund, contact Linda Speed at (812) 948-4662 or lspeed@cfsouthernindiana.com for more information on how to start your own fund.